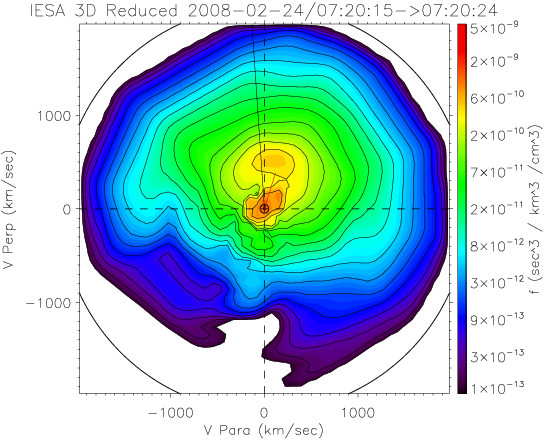 Recently, based on observations from NASA’s THEMIS mission (The Time History of Events and Macroscale Interactions during Substorms), two researchers from the State Key Laboratory of Space Weather, the National Space Science Center (NSSC), Dr. LI Hui and Prof. WANG Chi, jointly with Prof. FU Suiyan from the Peking University, statistically analyzed the fast flows in the mid-night central plasma sheet and the relationship between the high-speed flows and the magnetotail dipolarization and substorms. 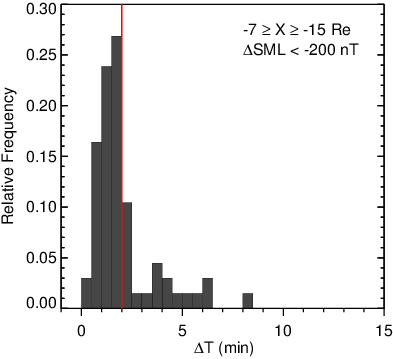 They found that, from superposed epoch analysis, no significant substorm activities are found to be associated with the occurrence of fast flows beyond X=−15 Re. 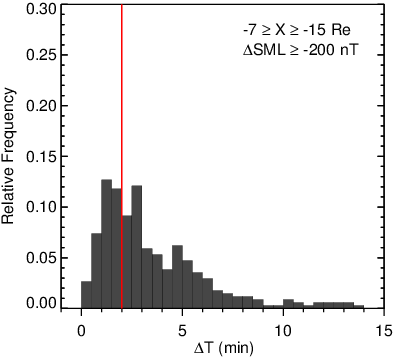 Considering the associations with substorm activities, the fast flows inside of X=−15 Re can be classified into two obvious classes: short duration (< 2.0 min) and long duration (> 4.0 min). Substorm breakups are shown to be more closely correlated to short-duration fast flows. Furthermore, the onset of short-duration fast flows in the dipolarization region (X=−9 to −11 Re) is almost simultaneous with the onset of substorm breakups and dipolarizations. On the other hand, time delays of 2–4 min are both found in the near-Earth region (X=−7 to −9 Re) and in the near-tail region (X=−11 to −15 Re). Assuming that short-duration fast flows are generated by the force imbalance caused by cross-tail current disruption, these features are consistent with the predictions made by the cowling electrojet current loop and the cross-tail current disruption substorm models. 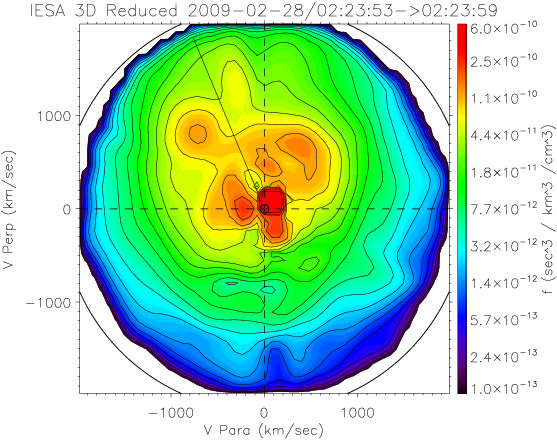 In comparison, although more magnetic flux is transported toward Earth for long-duration fast flows, no clear substorm breakup is closely associated with them. The analysis of 2-D ion velocity distribution further shows some differences. For short-duration fast flows, multiple crescent-shaped ion populations are found. However, for long-duration fast flows, there exists only a single crescent-shaped ion population. The difference may be an important signature for distinguishing these two classes of fast flows. These results published on the Journal of Geophysical Research (JGR): Space Physics will be of great significance to understanding the relationship between fast flows and susbtorms.